On Sunday, regime Foreign Minister Mohammad Javad Zarif was once again summoned to Majlis (Parliament) to answer questions about his visit to France in June, which coincided with the National Council of Resistance of Iran’s (NCRI) annual gathering in Paris. Zarif was called to Majlis two months ago to answer similar questions, but members of parliament were not satisfied with his answers, so he was called back for further questioning, amidst rising internal tensions within the Iranian regime. 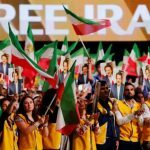 Zarif struggled to justify his visit to Europe during the questioning, using the regime’s old tactic of blaming the MEK for daring to hold a rally in Paris in the first place. 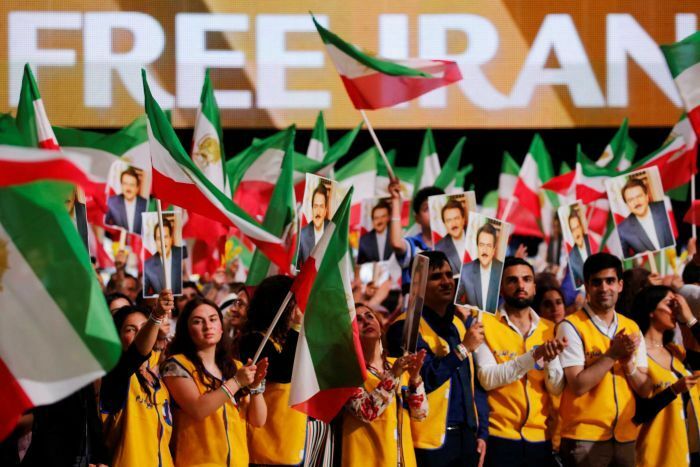 Zarif even called the gathering an act of terrorism, which is an astounding feat of illogic, considering that an Iranian regime diplomat was arrested and charged with plotting a terrorist attack on the very same gathering in Paris that Zarif decried. In fact, Zarif would not be in trouble with parliament were it not for the ensuing public outcry. Zarif responded to this question by saying “ we cannot stop our diplomatic efforts,” and that “we made it clear in public and private sessions with French officials.” He also claimed that the MEK is not important enough for the Foreign Ministry to consider it when scheduling its activities. Putting its “moderate” musk aside, Zarif responded by stating that he was following orders from Khamenei – regime’s Supreme Leader. “I emphasize that we all act based on orders provided by the Supreme Leader and the framework specified by the Supreme Leader. It is my honor that the Supreme Leader in his speech on Wednesday, aired completely by the IRIB, kindly described me as a small soldier, which is far more than what I deserve, and I will always be in debt to his kindness,” said Zarif. The regime’s attempts to pass the blame over its foiled terrorist plot continue and infighting caused by the scandal has revealed the growing cracks in the facade of the regime’s leadership.